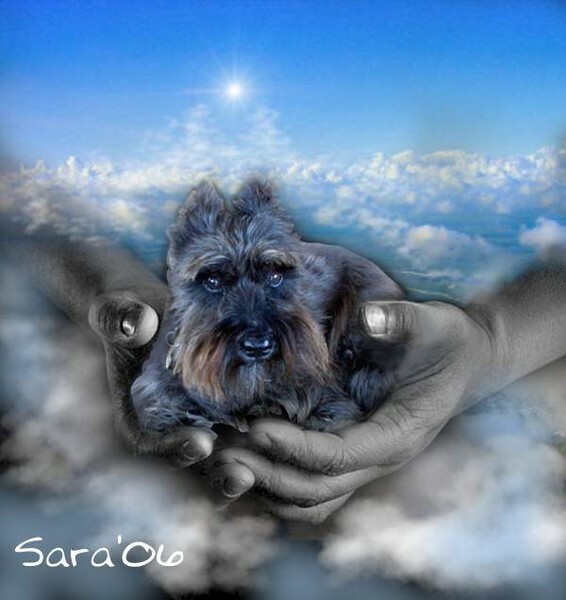 I was asked to do a portrait for a dog who had died of cancer, leaving the owner grieving.. This image just came to me as a way for Fritz to say: "I am happy, at peace...please don't worry about me...I am relieved of pain and free...."
I like this because it does have a special language reaching deeper than words alone and has a very kind impact into the core of the associative bank where our emotions are wired. Very healing Sara!